The great tech giants of today were all startups once, and there are plenty of investors out there keen to splash the cash to find the next Google, Facebook or Apple - as a result, there are plenty of small tech firms running on handouts and a bright idea. Some can fly under the radar for years before they hit the big time, refining their core product and staying small-scale until they're ready. Here are some of the most promising ones we've seen in recent times - make a note of their names. 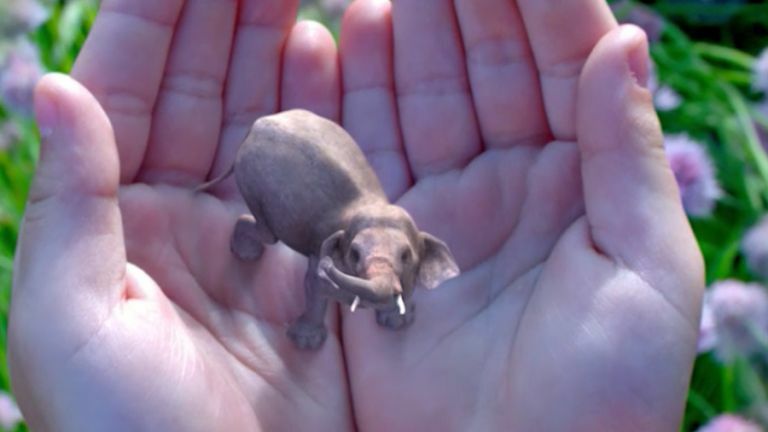 2016 might be the year of virtual reality, but don't forget augmented reality - Magic Leap is one of the companies working on technology that blends the real world with the digital one, and while it hasn't shown off anything in public, it's attracted hundreds of millions of dollars in funding from investors (including Google). You can get a taster from the official website. EventBrite describes itself as "a global marketplace for live experiences" but unless events are your business you might not have discovered the company or its apps. It sells tickets, manages venues, and is exploring options for wearables (to keep tags on you at a specific event). Keep your eye on this outfit - it now operates in 190 countries worldwide. You may well have heard of Uber, the US startup transforming the way we take taxi rides, but there's a big world beyond San Francisco. Ola Cabs is the same idea transplanted to India, and it's doing very nicely indeed thank you very much - it's one of the fastest growing businesses in India and offers a lot of the same features that its Stateside equivalents do. Even if you haven't come across the name Kabam before, you might have played one of its games in your downtime: from Star Wars Uprising to Dragons of Atlantis, the software studio is responsible for some of the biggest titles on mobile and social media platforms. Perhaps that's the reason that some investors value the company at more than $1 billion. Technology that helps us get from A to B is big business nowadays, and the Israeli public transport startup Moovit has been attracting tens of millions of dollars to help it in its attempts to make getting buses, trains and trams easier. While it duplicates some of the functionality already in the major mapping apps, it does have some unique tricks - such as live departure times. Westerners would be forgiven for not having heard of Chinese social shopping company Mogujie, but business is booming - the startup has been valued in the region of $2 billion in recent years. Focusing on women's fashion through its website and mobile app, you can think of it as China's version of Pinterest, where shopping and social networks meet. Who has time to cook any more? Or even go out to eat? Sprig wants to deliver fresh, organic food to your door within a quarter of an hour and among its founders it counts the ex-chef at Google. Of course everything works through a mobile app, so you pick your food from your phone, but for now the service is limited to San Francisco, Palo Alto and Chicago. Lookout is a mobile security company, so it's no surprise that business is booming - we all want to keep our precious data safe. Launched in California (of course), the company has apps for Android and iOS that you might have come across, and it's attracted fresh funding to target businesses too. Key to its software is advanced AI and predictive algorithms. Anyone who drives a car is familiar with car insurance, but Cuuva is aiming to substantially disrupt the market - it lets you insure a vehicle an hour at a time. It's perfect if you want to borrow a car from a friend or a family member for a little while, and with a few taps of the iOS app you're good to go. Presumably the name is a trendy adaptation of "cover". Deliveroo is another food delivery service (must be a high demand for them in startup land) but this time the meals are sourced from upmarket local restaurants. The firm says an average order takes 32 minutes to be delivered, and it's betting that a lot of you would rather have a quality meal brought to your door rather than settle for pizza every time.